Skills: Market research, responsive wireframing, client presentation. Tasks: Redesign Homepage, PLP, and PDP. Merge products, services, and industry offerings into a unified eCommerce experience. Create a professional and modern design for B2B consumers. Client wanted a hybrid PLP/Info page. Held client briefing which assessed consumer base and offerings. Studied current site analytics. Researched competitors and compiled industry-standard taxonomy. Utilized site analytics and client feedback to guide user flow. Showcased compelling B2B information alongside product listing which helped minimize confusion among consumers and potential vendors which was a common complaint. 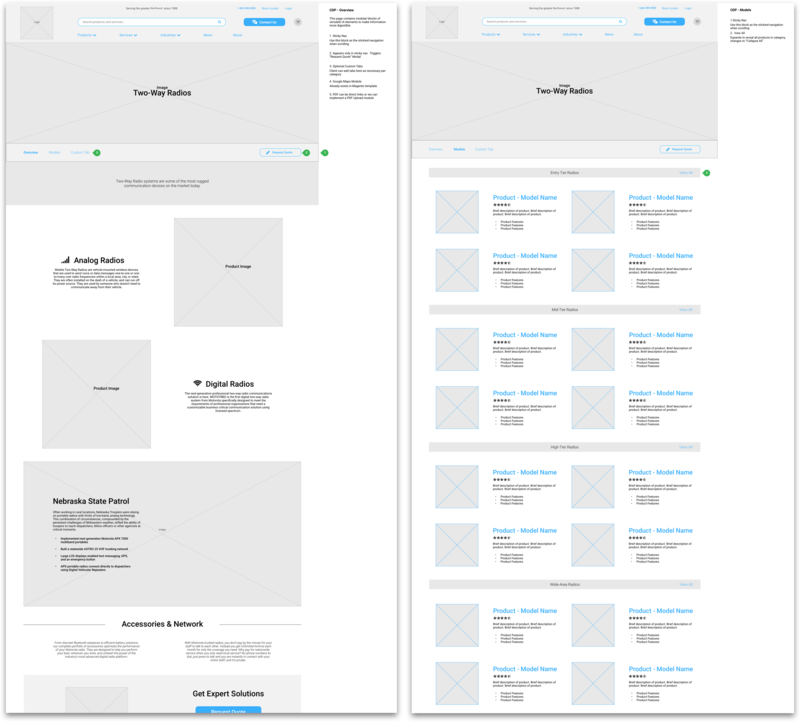 Created 4 pages of wireframes using personal symbol library. 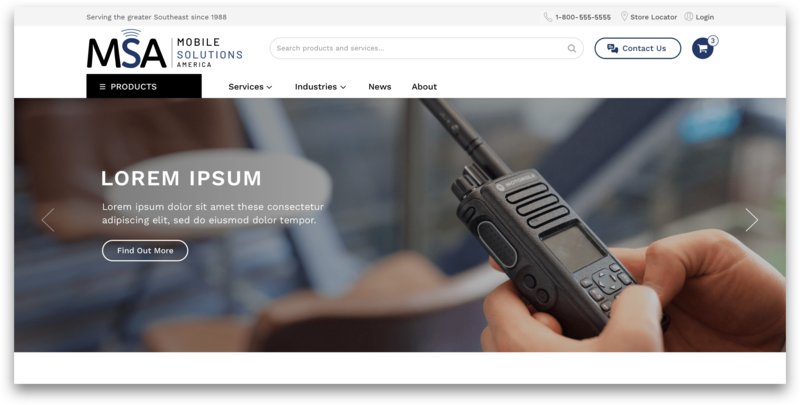 Client required a custom PLP/info page for B2B consumers. Included one round of client feedback and a client presentation. Wires include developer handoff and internal notes. Handed off wires to internal design team which was overseen by lead designer. 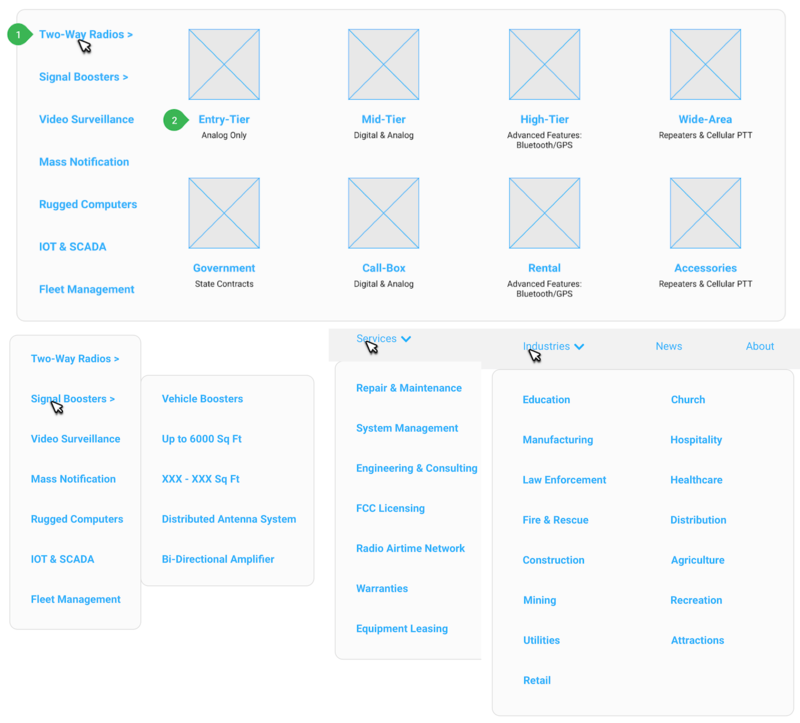 Verified with remote developers that wireframes were feasible. Wires include developer handoff and internal notes.